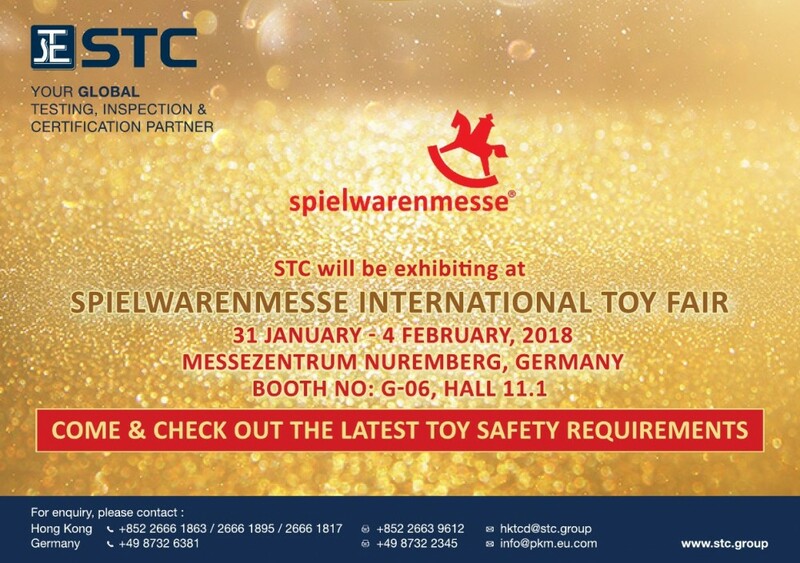 STC will be taking part in the Spielwarenmesse International Toy Fair 2018. Date: 31 January - 4 February 2018 Venue: Messezentrum Nuremberg, Germany Booth No. : G-06, Hall 11.1 Come and check out the latest toy safety requirements!